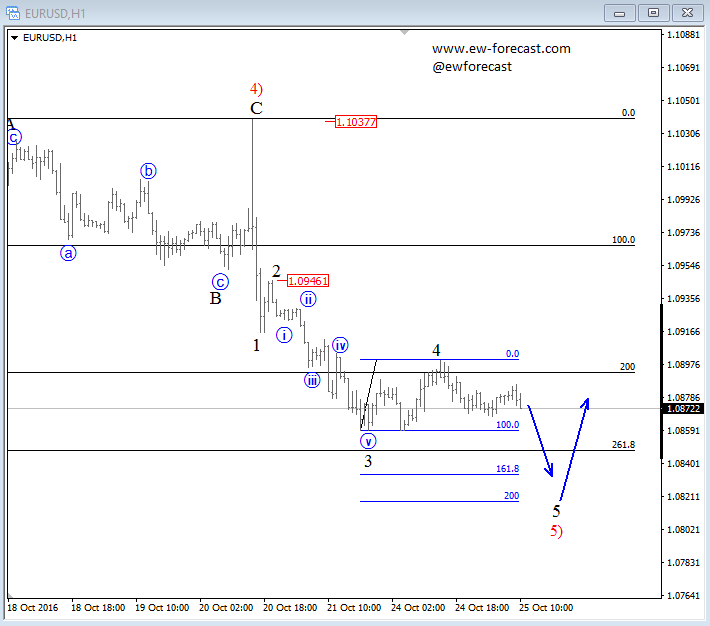 For now USD remains bullish against the EUR and JPY based on short-term swings that show incomplete impulsive patterns. 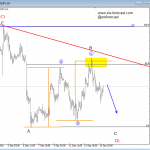 On the EURUSD we see only small 3-legs up from the last 24 hours which is probably wave 4 so traders may expect more weakness into 1.0820/30 area where pair can be looking for some support. 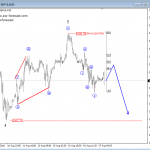 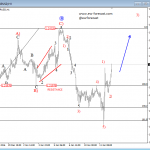 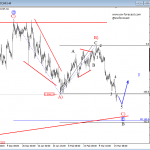 USDJPY is trading just a few points away from 104.63 high, so we are now even more confident that new bullish leg is in progress, labeled as wave five that will be targeting 105.00 area. 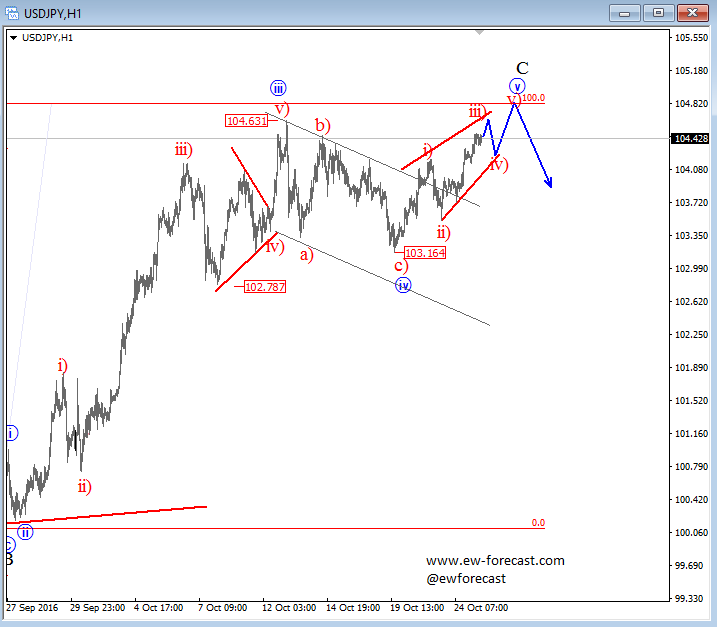 However, fifth wave is the final part of an impulsive structure so we can expect a turn from a new high, probably later this week.